Like most people in my field, I was drawn to be a psychologist because I wanted to help people. As I entered my training and began thinking about how my professional identity was woven into other aspects of my self, I developed an understanding of how my work as a therapist fits in with God’s desires for individuals and society. As two of my mentors described it, “The work of psychotherapy is one expression of God’s own redemptive work in the world.” (Jennifer Kunst & Siang-Yang Tan, “Psychotherapy as ‘Work in the Spirit’: Thinking Theologically About Psychotherapy,” Journal of Psychology and Theology, 24, no. 4 (1996): 289.) Dr. Oord’s model of Essential Kenosis provides a helpful framework for understanding how that works. The model of Essential Kenosis has something to offer for these questions. Not a pat and easy answer, but rather an incarnational response. In the act of kenosis, God also became incarnate—Immanuel, “God with us.” In becoming enfleshed, Jesus also embraced the suffering that is inevitable in being human, and through him God continues to suffer alongside us in our pain. Rather than looking to the almighty power of God for answers, kenosis opens the way for us to look to the abiding presence of God, in which we can find solace, comfort, and healing. It is not a magical quick fix, but in God’s presence, we are invited to move towards wholeness, “for in him we live and move and have our being” (Acts 7:28). It is this aspect of Essential Kenosis that gives my work as a therapist significance. God does not enter anyone’s life and force healing or wholeness on them. Rather, God works together with individuals to help them heal and grow in the face of tragedy. Oord says, “God’s self-giving love invites creaturely cooperation for radically surprising actions that promote overall well-being.” (Page 200) God cannot bring wholeness and restoration without the cooperation of the individual; because of the essentially kenotic nature of the deity, God cannot impose well-being on anyone. Sometimes there are obstacles in a person’s life that prevent them from fully cooperating with God’s desire for their health and well-being. Sometimes the obstacles are obvious—mental illness, addictions, self-destructive behavior, pain and grief from personal tragedy. Other times, the obstacles are more subtle—poor relational skills, insufficient resources for coping with emotions, lack of understanding of their own psyche, self-defeating patterns in relationships because of old hurts. All these things make it difficult for individuals to hear God’s “still, small voice” and fully engage with God’s work in them. God is continually calling to each of us, encouraging and coaxing us towards wholeness, whether we acknowledge God’s presence or existence. 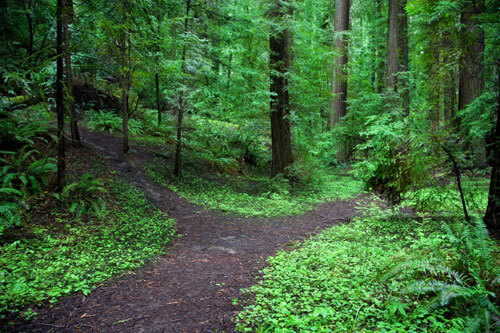 Psychotherapy is one way that individuals can confront whatever is hindering them from following that path. My goal as a therapist is to help clients move towards God’s ultimate goal of transformation for all creation. God cannot do it alone, but depends on our cooperation. I work with my clients to help them uncover new ways of relating to others, new ways of understanding themselves, and new ways of being in the world that are healthier and give more satisfaction to all those involved. In this shift from dysfunction to well-being, they are moving in accordance with God’s desires for them. In this work, I can help my clients answer the question, “Why?” The meaning of a tragedy is not hiding somewhere to be discovered and then adhered to; rather, God invites us to become the co-creators of the meanings in our lives. We can create a negative, nihilistic meaning from an event (“This happened because everything I do is doomed to fail.”), or we can create a positive, life-giving meaning from an event (“I have grown stronger and learned this lesson because of this circumstance.”). We always choose how we interpret our lives, and with more awareness we can intentionally make better choices. God calls us to view our experiences through the lens of redemption, and I work with my clients to help them consider their hard experiences through that redemptive lens. When we heed that call, God works with us for our transformation. Noel Cooper is a clinical psychologist and therapist from Pasadena, CA. She graduated from Fuller Theological Seminary in 2013. Her professional website is www.drnoelcooper.com.